Shell the eggs and mash them. Add salt, pepper and butter. Mix thoroughly till smooth. Add cheese and coriander leaves. Keep aside. Remove the hard crust from bread slice and butter them. Spread 2 teaspoon of egg mixture between two slices and press them. Cut into two triangular piece. 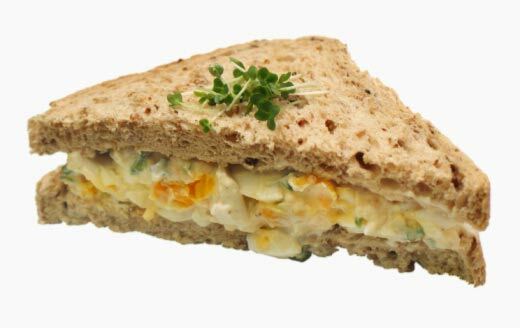 Arrange the sandwich on a bed of cabbage or lettuce leaves. Serve with cucumber salad.